Enjoy the Good Life of Living With Your Plane! This gated community property sits nicely on the runway. Waiting for you to taxi and take off into the beautiful skies of North Central Florida. Oh what a treat it will be. There is nothing like flying over this area of the State with its magical winding rivers and sites you will surely want to enjoy over and over again. Secluded on 8.83 acres of nature surrounding you, will give you the serene quality of peace you have searched for. 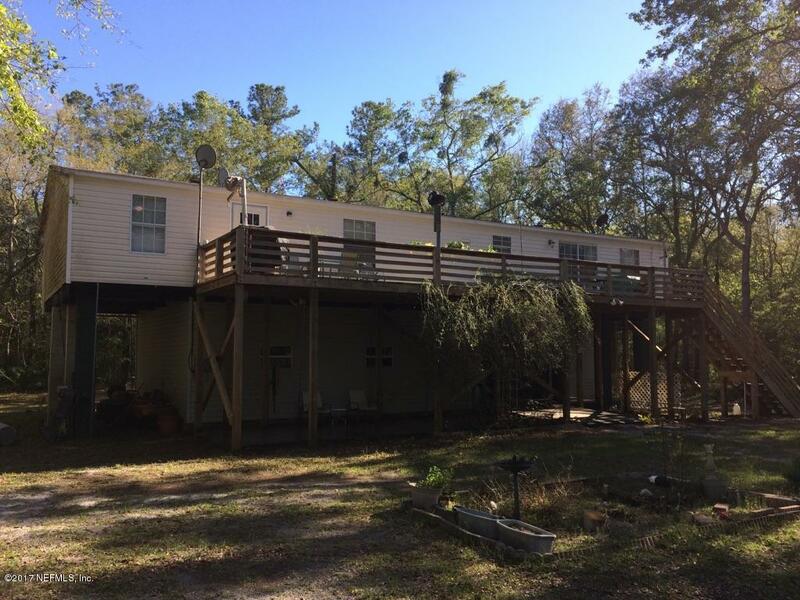 This well maintained, mobile home model THE AMERICAN DREAM was built in 1999. 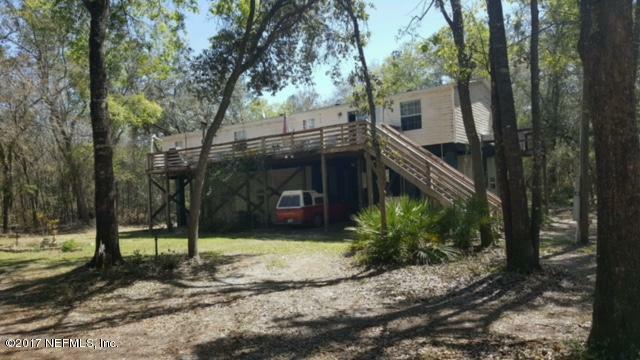 It offers 3 bedrooms 2 baths and sits on stilts, with two great rooms, large open kitchen and adjacent dining area allows plenty of room while indoors.Additionally there are two spacious porches for relaxing in the quiet of the day or evening. Downstairs there is a covered parking area with a nearby work shop / storage area. There's three additional covered areas where you can park your plane, vehicles, antiques or boats, there is plenty of room to build an enclosed hangar if so desired. The property has beautiful oak trees for shade any hot summer day. Nearby there are trails that are miles and miles of wilderness for Walking, Horses, ATV's and Bike Riding. 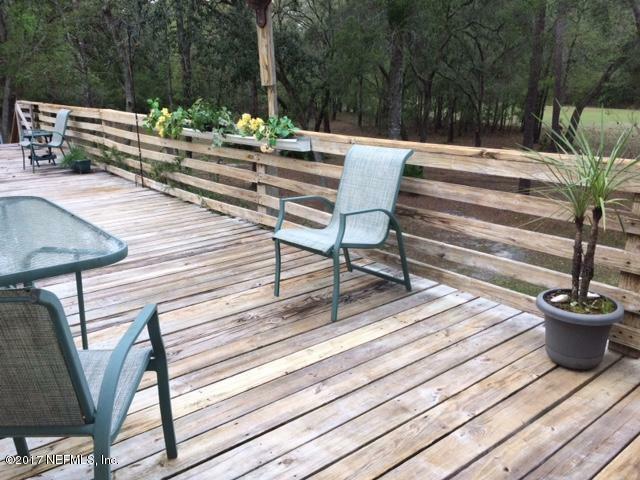 Just round the corner from this property, you will find the famous Suwanee River. Where on any day you will find swimming , tubing, canoeing and kayaking down this adventurous river. There are also local EAA Chapters to join for your flying fun with other pilots. Most have monthly meeting and weekly fly outs. 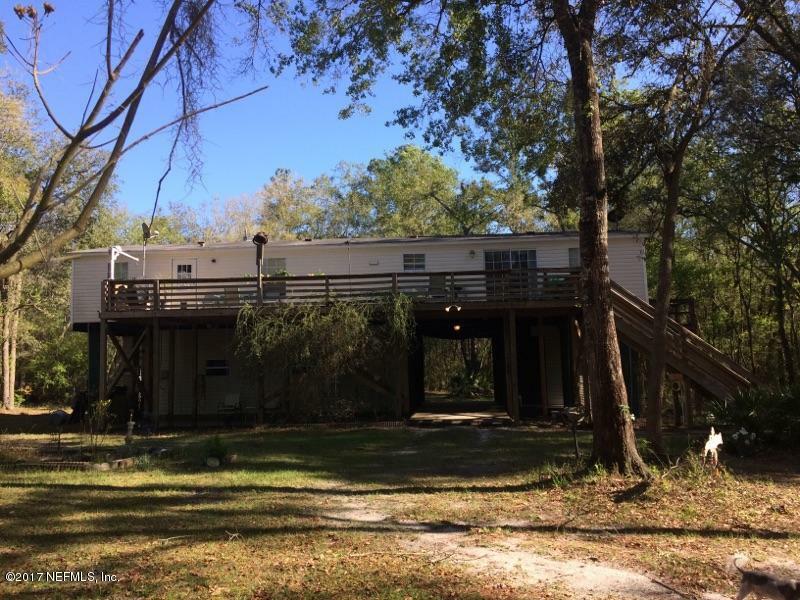 If you have been considering living on an airpark where you can Live With Your Plane, this country setting will surely draw you to this area of serenity. The American Dream, come enjoy life at its finest!! The local area is well known for it\'s wonderful parks. There\'s all types of water sports. Whether your cave diving, boating, canoeing, kayaking, or just tubing down the river. Cave diving is well known in this area. You can fly most any day of the year. Pilots claim to fame in the area are they love to fly and can go 360 days out of the year. You will find at the famous Spirit of the Suwanee Music Park, nightlife such as live bands and Karaoke. Elvis impersonators have flocked for their annual Legends Event.